...is here! Stedsmen, Happy Founder's Week! 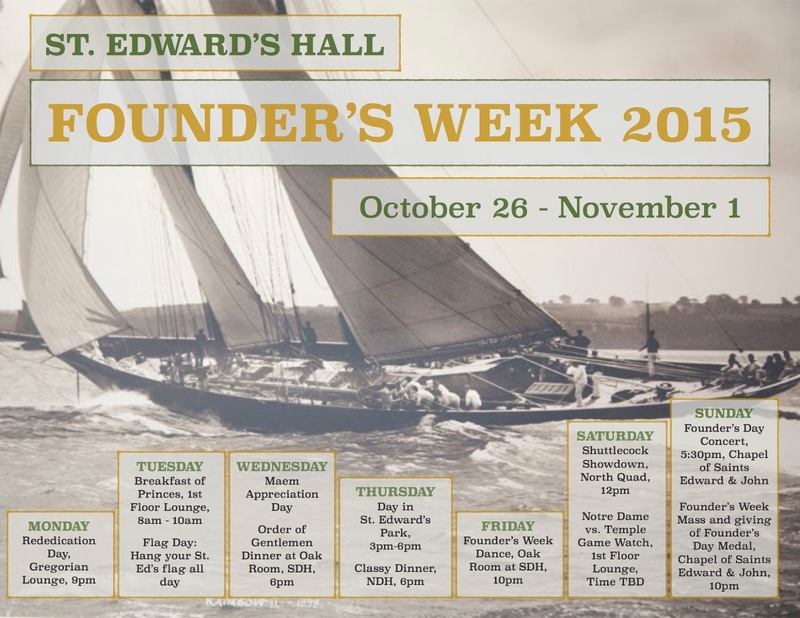 Yes, our week long celebration of the Founder of the University and first Rector of St. Edward's Hall, Fr. Edward Sorin, C.S.C begins today. As you can tell, the week is jammed packed with history, tradition, and FUN. More to report as the week unfolds, but in the meantime, Stedsmen everywhere, may the Founder smile upon you always!